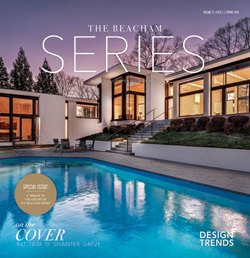 Redfield is a sought after swim/tennis neighborhood in the City of Dunwoody. Redfield is located in the Austin Elementary School district in 30338 zip code and has easy access to I-285, I-85, Peachtree Industrial/141 and GA-400. Here are the top 10 reasons we love Redfield and the Dunwoody area. 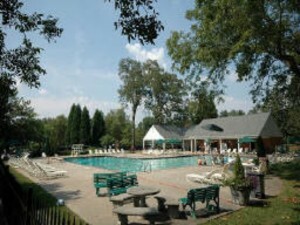 Redfield Swim/Tennis Club – Redfield Tennis has six hard courts and is home to Women’s ALTA, Men’s ALTA, Senior Women, Senior Men, Senior Mix, and Junior Alta leagues. There are also other tennisa ctivities year round. From Memorial Day to Labor Day, the pool is hopping with activity. With no cut through streets, you will see plenty of neighbors walking or riding bikes to the pool and tennis courts. There are many social activities planned throughout the year including this year’s St. Patty’s Day Progressive Dinner. Redfield Home and Garden Club – This optional women’s social organization is open to residents of Redfield and is a great way to meet your neighbors. The group meets the third Tuesday of every month. 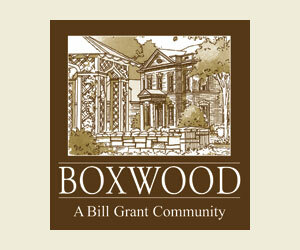 Membership is $20 annually. Award-winning Austin Elementary – A 2008-2009 Platinum Award recipient, Austin Elementary serves children in pre-kindergarten through 3rd grade. 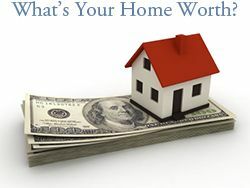 It is located at 5435 Roberts Drive, Dunwoody, GA 30338. DeKalb County is currently working on a redistricting plan that would change Austin Elementary back to a Pre-K-5th grade for the 2011-2012 school year. 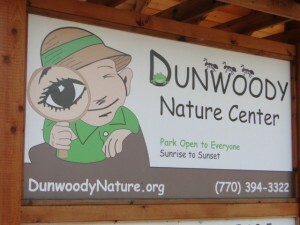 Dunwoody Nature Center – The park features an education center for camps and classes; a wetland boardwalk; woodland and streamside trails; display gardens; a picnic meadow; a treehouse classroom pavilion; and a shaded playground. It is also home to one of my personal favorites, the annual Butterfly Festival. 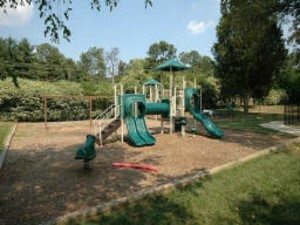 Brook Run Park – 102 acres of fun located at 4770 North Peachtree Road in Dunwoody. Brook Run Park is maintained by the Dekalb County Recreation, Parks and Cultural Affairs. Brook Run Park has multi-use fields, picnic areas and trails. It is also home to the the Brook Run Skate Park and Brook Run Dog Park. Spruill Arts Center – A private, non-profit organization founded in 1975. Spruill offers visual and performing art classes for all ages. Sports – Whatever your favorite sport, there are lots of opportunities to participate or cheer on your favorite player! Baseball at Murphey Candler Little League and Dunwoody Senior Baseball; Football at Murphey Candler Colt Football and Cheerleading. It’s also fun to watch high school sports at Dunwoody High School and private schools in the area. Two tennis facilities are close by, Blackburn Tennis Center and Sandy Springs Tennis Center. home to a variety of businesses including Fresh Market, David’s Flowers, Dunwoody Prep ….and don’t forget Mellow Mushroom and The Dunwoody Tavern! Village Burger is now open in the old Bruster’s location. Perimeter Mall is located in Dunwoody and is home to over 200 stores with four anchor stores. Around the mall you can find restaurants such as Maggiano’s Little Italy, The Cheesecake Factory, Hudson Grill, Season’s 52, and Wildfire Grill! Perimeter Place home to Super Target, Office Max, Verizon, loads of restaurants including Panera Bread, Tin Drum, Five Guys Burgers and Fries, Cheese Burger in Paradise, Taco Mac, Shane’s Rib Shack. 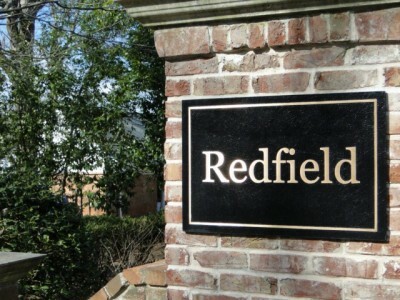 Read more about the Redfield Homeowners Association.